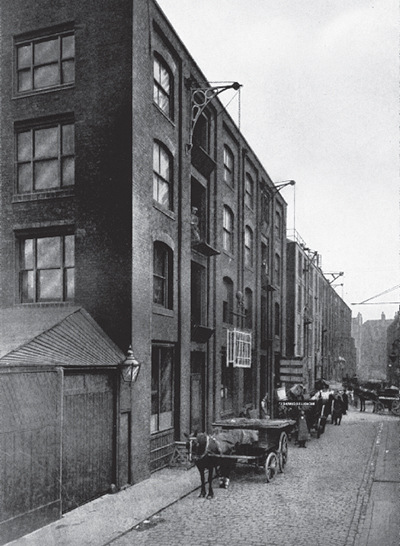 Nicholls & Clarke were established in 1875 as glass, lead and oil merchants in Shoreditch, London. We have grown from strength to strength into national manufacturers, distributors and retailers of building materials. 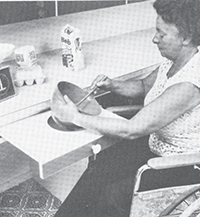 It was in the early 1970s when the sanitaryware department began offering products designed for the elderly and disabled as well as producing its own specialist equipment under the N&C Phlexicare brand name. The underlying policy was to design products which, while perfectly acceptable for anyone to use, would be of particular benefit to individuals with different levels of abilities. Founded in 1958 by Les Mason and Ken Forbes, N&C Phlexicare was formed as an arm of the Nicholls and Clarke Group, rapidly being recognised as leaders within the healthcare construction market. As major inventors and innovators in the healthcare industry, the company were unique in their positioning through conducting continuous research and product development, allowing them to gain invaluable insight into the diverse needs of people with different levels of physical abilities. Over the years, N&C Phlexicare were rapidly being recognised as highly reputable manufacturers and distributors in the healthcare construction market, catering to both the commercial and domestic markets. The success of the company meant credibility was on a continuous rise. Today, the company sit on various BSI Committees and are very much involved in the creation of new BS/EN Standards. The first raised height toilet within the industry was another superb invention. 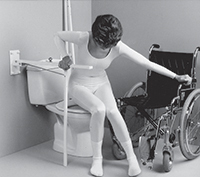 Until this point a wheelchair user had to lift themselves up, often purely with the strength in their arms or with the help of a carer, to transfer from a toilet pan back to a wheelchair. The development of a toilet pan the same height as a standard wheel chair made this transfer far easier and in many cases allows the user to retain dignity as they no longer require assistance. N&C Phlexicare was growing strongly, becoming a leader in the provision of a wide range of products, including the RADAR (Royal Association for Disability and Rehabilitation) lock. Invented in collaboration with RADAR, this innovative door locking system with a universal key is used throughout the UK to keep public toilet facilities secure and available exclusively for use by those with a disability. This important product continues to flourish today as the ‘National Key Scheme’. The N&C RADAR lock can be found in thousands of public spaces where toilets are available. 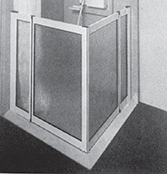 In the early days, understanding the difficulties carers faced when showering users without getting wet led to the introduction of half height shower doors, a revolutionary idea that allowed carers to assist a disabled person using a shower seat without repeatedly soaking the carer. Les Mason, who had been the driving force behind Phlexicare’s development, was awarded the MBE in 1989 for services to 'buildings for the disabled'. N&C Phlexicare offers clients an end to end solution, where most competitors at the time solely supplied bathroom and kitchen solutions. We have worked closely with industry leading charities, C.A.E (Centre of Accessible Environments), as well as DRUK (Disability Rights UK) as manufacturers of the National R.A.D.A.R. (Royal Association for Disability and Rehabilitation) locks. N&C continue to invest heavily in their UK wide, external technical sales team, employing on average 50 fully trained representatives that are well equipped with a wealth of technical advice and experience. Research and development continue to be vital in product design and manufacture. N&C Phlexicare has developed into a market leader in a rapidly developing sector as the population gets older and the demand for attractive, innovative solutions increases. Innovation has always been part of the N&C philosophy, from creating the world’s first raised height pan to developing half height carer shower screens. Phlexicare continues to work with organisations such as Disability Rights UK in further developing the RADAR lock and key scheme. In 2015 N&C launched the fifth generation of this unique product, which has improved the lives of millions of disabled people for the past 40 years. Today, the N&C Phlexicare range offers more than 6,000 products, including bathroom, kitchen and access solutions, and more recently, a greatly enhanced portfolio of wet room options. With the many extrinsic influencing factors such as an ageing population and new government initiatives, N&C Phlexicare are constantly developing, innovating and changing with the needs of the market to stay ahead. With strong roots, an impressive heritage and a wealth of knowledge and experience gained over the years, the company will continue to make an impact in many years to come.